This will include the FREE 24 page WA Show Scene insert, which covers shows, clinics and events throughout West Australia. Shipping/Delivery Address: Leave this set to the default 'Myself (My Bill Address)' unless you want to give this magazine as a GIFT. If this is a GIFT complete the Gift Recipients Name and Address in the Shipping/Delivery Address. When you select 'Post with Subscription Bulk Mailout' it is sent anywhere in Australia for just $1.40 postage, with the NEXT subscription bulk mail out. 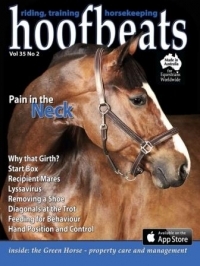 Selecting Australia Postage - Send Now for $2.80 has your magazine sent to you immediately.